The Tokyo office is established as a sales hub for the Kanto region. With capital participation by Nippon Yakin Kogyo Co., Ltd., the company becomes a group company of the same. A new factory is completed in Asahi-ku, Osaka and the head office is moved there. The head office is moved to Kita-ku, Osaka and the company name is changed to Nippon Seisen Co., Ltd. The Tokyo Factory in Kita-ku, Tokyo is completed and operations start at the factory. A dealership system is implemented. A Seisen-kai partnership is formed between Tokyo and Osaka. Shares are listed in the Second Section of the Tokyo and Osaka Stock Exchanges. 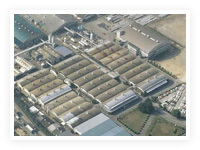 The Hirakata Factory in Hirakata-shi, Osaka is completed and operations start at the factory. Display of the JIS logo on stainless steel wires is approved. The welding rod manufacturing division is received from Showa Kasei Co., Ltd. It is renamed the Kawasaki Factory and manufacturing of welding rods start. The Hirakata Factory is expanded to include a thin wire factory and a NASLON factory is newly built. Sales of metal fibers (NASLON) starts. The Tokyo Factory is moved to the Hirakata Factory and consolidation is complete. A screw factory is completed in the Hirakata Factory. A computer is installed in the Hirakata Factory and a computerized system for order sales and stock management is started. The Kawasaki Factory is moved and consolidated into the Hirakata Factory. Sales of Diamond Dice starts. A NASLON filter factory is completed in the Hirakata Factory. 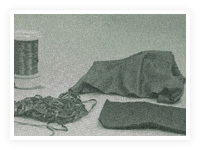 The Hirakata Factory is expanded to include a high strength wire factory. A manufacturing method for nickel-titanium shape memory alloy wires is developed. Beta-titanium ultra thin wires are developed and mass production starts as shaft material for golf clubs. Thai Seisen Co., Ltd. is established with a capital of 40 million bahts. The high strength wire factory in the Hirakata Factory is expanded. A cogeneration system (heat and electricity generation) is installed in the Hirakata Factory. The NAS clean gas filter for semiconductor manufacturing is developed and sales of the filter start. The NAS light hard surfacing low formability wire material is developed and sales of the material start. The head office is moved to 4-1-1 Koraibashi, Chuo-ku, Osaka. Shares are alternatively listed in the First Section of the Tokyo and Osaka Stock Exchanges. ISO9001 certification obtained (Hirakata Factory). Winner of the TPM Excellence Award (Category A). An automated pickling factory is completed in the Hirakata Factory. ISO9001 certification obtained (head office). The Daido Steel Co., Ltd. becomes the largest shareholder and the company becomes a group company of the same. ISO14001 certification obtained (Hirakata Factory). The Naslon Fuji Filter (Changshu) Co., Ltd. is established in Jiangsu Province, China in order to strengthen the metal fiber filter business (70% capital investment by Nippon Seisen). The Daido Stainless Steel Co., Ltd. is acquired and merged, capital becomes 5 billion yen. NASLON Korea Co., Ltd. is established in Seoul, Korea (100% capital investment by Nippon Seisen). ISO9001 certification obtained (all companies).